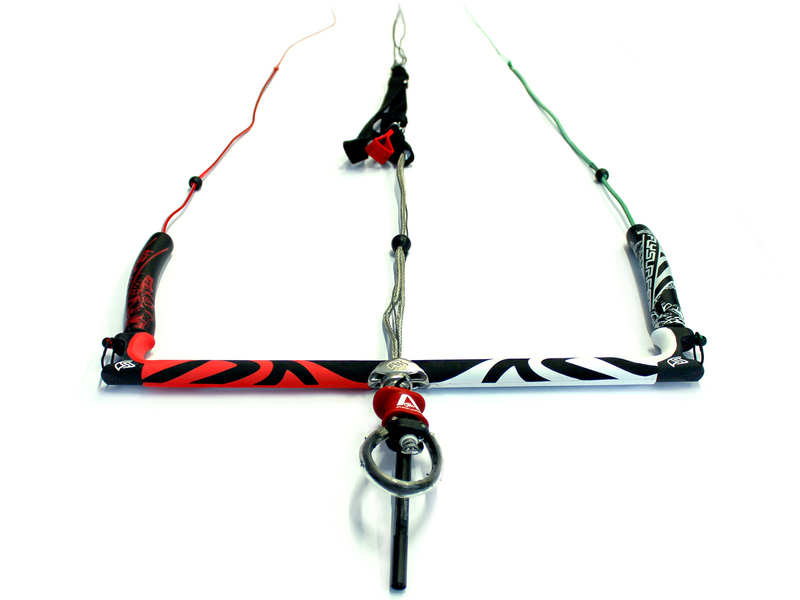 FLYSURFER enters the market in 2001 with three product lines. These initial kite lines are defined by revolutionary, patented innovations including a self-filling system with effective air intake valves, a depower system through profile adjustment, as well as an automatic relaunch. Holding power is not present on the first bar. 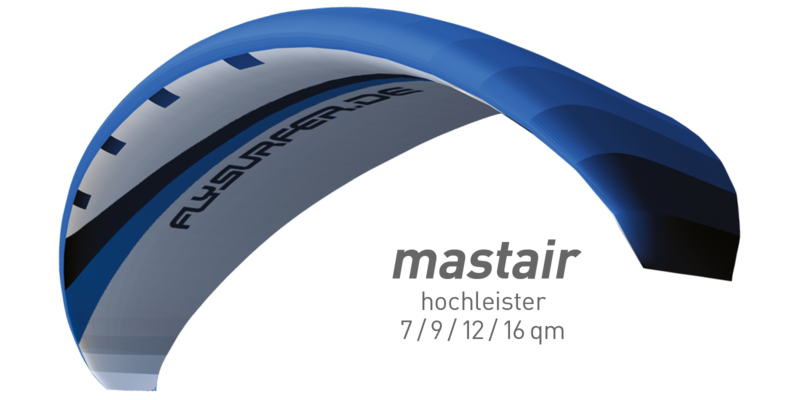 Additionally, the MASTAIR high-performance wing is offered in a 16-square-meter size, showing the industry right from the beginning where the FLYSURFER technology really shines: in light-wind conditions. Four friends set off on a journey, based on their PASSION for paragliding and kiting, and propelled by their enthusiasm and shared goal of advancing their sports. 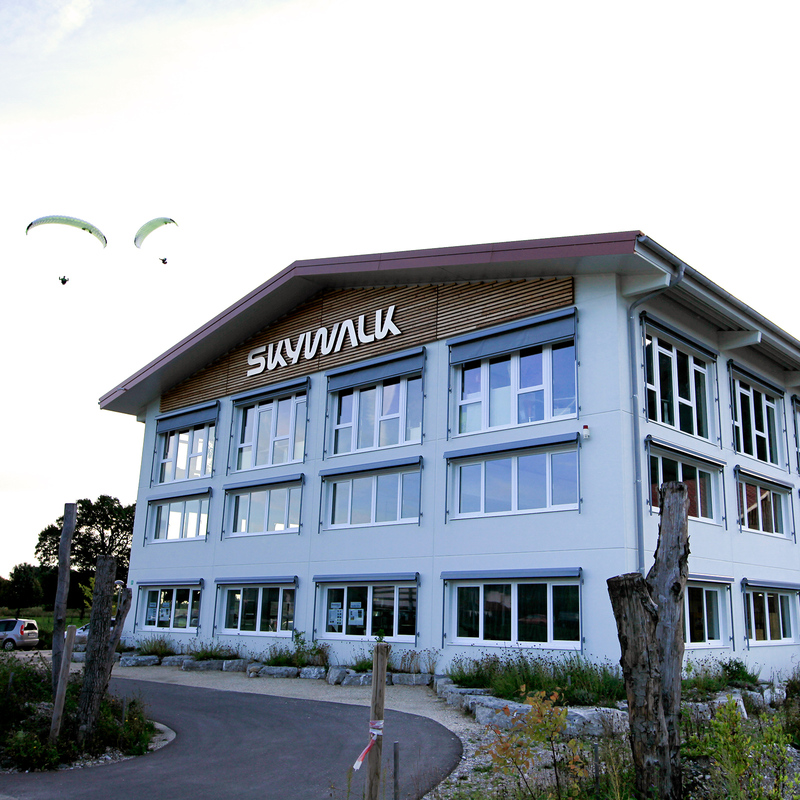 Filled with visions, they found Skywalk GmbH & Co. KG and open up shop on the beautiful Chiemsee in southern Bavaria. 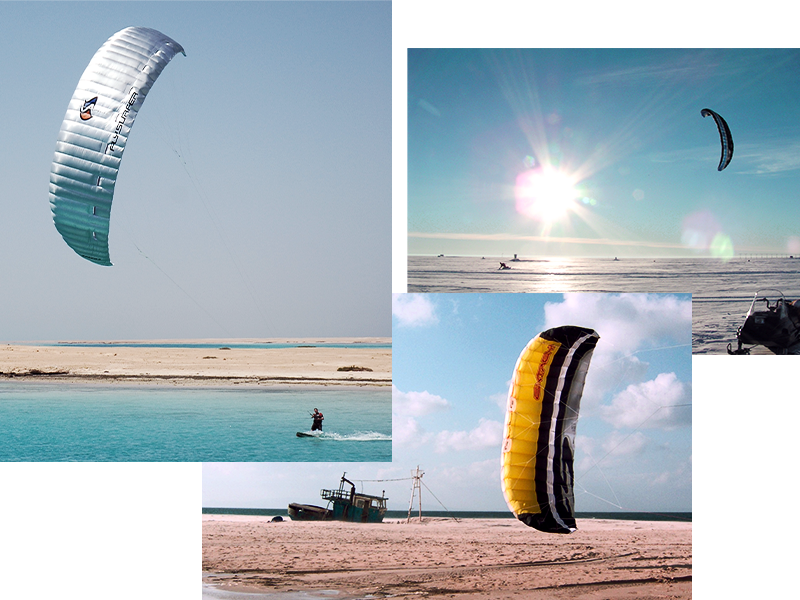 The fledgling company quickly becomes the home of three brands: Paramarine, skywalk paragliders and FLYSURFER Kiteboarding. Right from the beginning it is understood that one of the pillars that FLYSURFER will be built upon is the promise of QUALITY. The small team focuses all of their energy and ambition towards increasing brand awareness of FLYSURFER –tradeshows, testivals, sales-partner acquisition … Armin, always full of energy, is supposedly living full-time in his mobile home. The FLYSURFER slogan “ahead of its time” reflects the strongest pillar supporting the successful FLYSURFER brand strategy: INNOVATION. With creative spirit and continuous product development, FLYSURFER expands its product line in its third year. The full product portfolio now includes a total of six kite models; with new models including MANIAC, WARRIOR and PSYCHO. 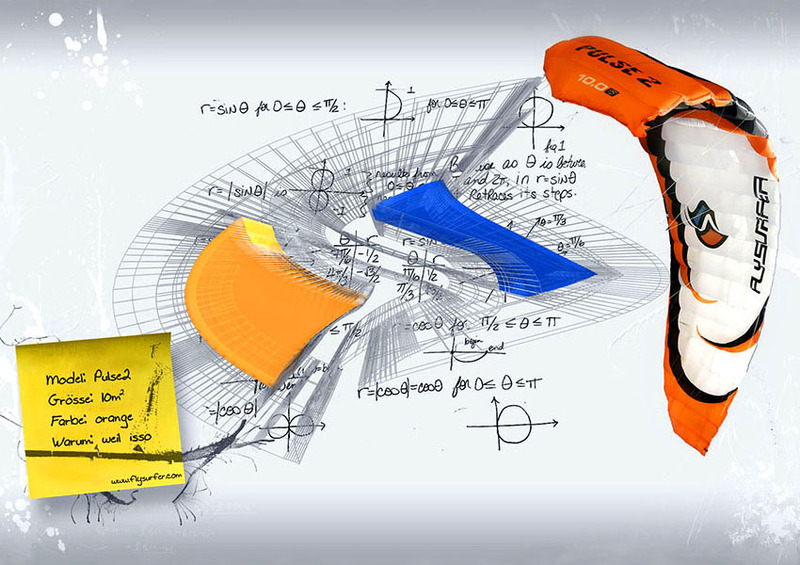 The FLYSURFER team is fascinated by the versatility offered by kite sport, which is why an all-terrain orientation quickly becomes a main component of the brand strategy. 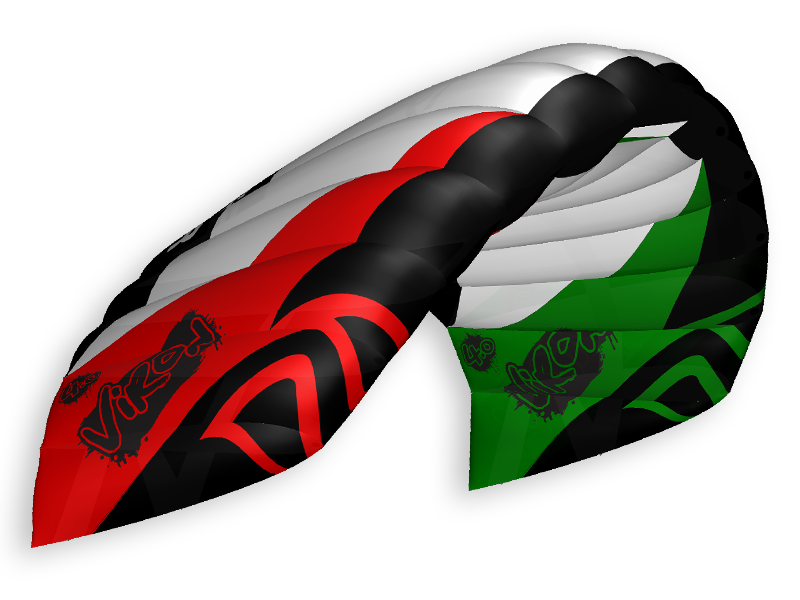 The new kites are equipped with the so-called WAC system, which simultaneously changes the angle and the curvature of the kite while powering and depowering. It is a revolution in the field of application as well as bounce, but at the cost of “non-pressurized” holding forces. With the purchase of initial sewing machines, a small workshop is established in the FLYSURFER offices. The introduction of the first SPEED is a huge milestone in the history of FLYSURFER. In 2005, however, almost no-one would have thought that it would come to be the flagship of the brand. Armin Harich, partner at Skywalk GmbH & Co. KG and FLYSURFER developer, is the exception. With the SPEED, Armin is more than ever able to bundle the strengths of FLYSURFER technologies, with the development of an elongated kite with a lot of power and top-notch upwind performance. The kite, named the Silverarrow, is a lightweight, refined version of the SPEED 17.0, and proves once again that hangtime and light-wind conditions are clearly the domain of FLYSURFER. The name Silverarrow refers not only to the power of the kite, but is also an allusion to the unique, lightweight, aluminum-coated cloth … a legend is born. 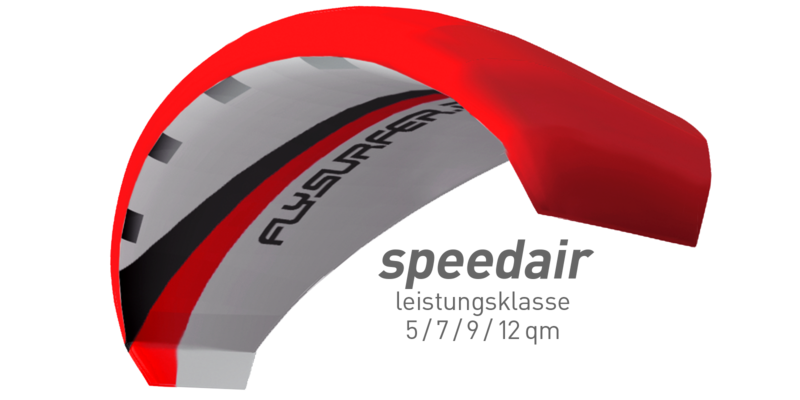 Through a cooperation with board-shaper Rainer Kauper (SPLEENE), in 2005 FLYSURFER also begins to distribute its own kiteboards. For a long time “mats” were considered to be not competitive for freestyle competitions on the water. In 2006, FLYSURFER team rider Sebastian Bubmann wins the German championship with the PSYCHO3 and gets the last doubters to tip their hats to the Bavarian soft-kite forge. 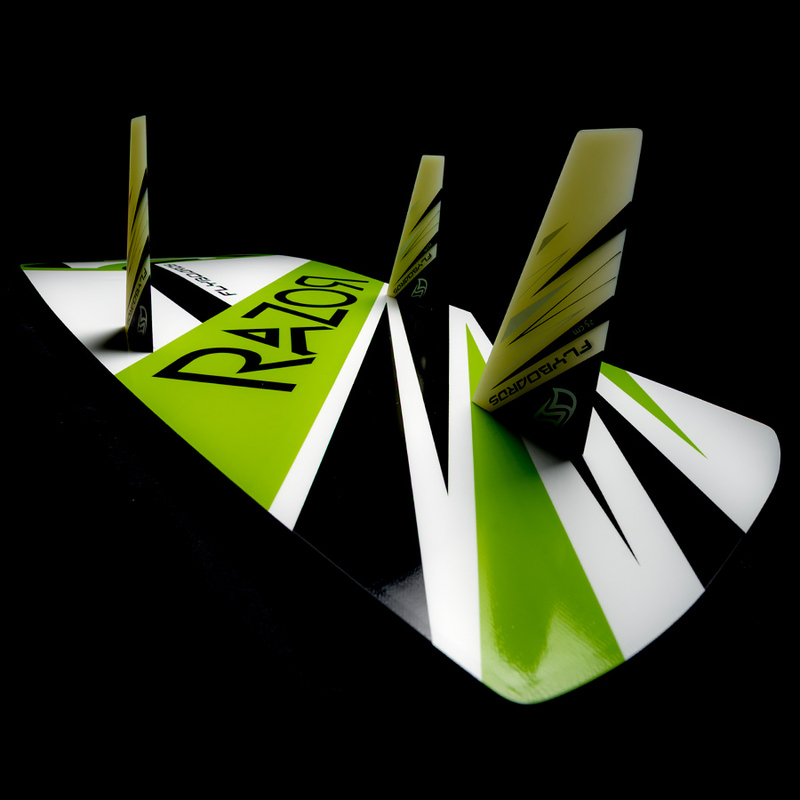 The big-air potential and high user-friendliness of the PSYCHO3 are due in part to the first Triple Depower Technology, which allows the kite to achieve maximum depower through the combined effects of reducing the angle of attack, profile change and reducing the projected area. Triple Depower Technology provides an enormous wind range and ideal handling. Board sales also continue to increase due to the outstanding light-wind capabilities of FLYSURFER kites. In 2007, using the experience gained from years of studying and applying the properties of aerodynamics, and with the development of new lightweight, robust materials; the brand X-GLOO Creative Event Equipment is added to the range of brands beneath the umbrella of Skywalk GmbH & Co. KG. At FLYSURFER, the gradual internationalization of the brand – which already supplies its products to more than 30 countries worldwide – takes the opportunity to freshen their logo and corporate design. The abbreviation “FS” is stylized and turned into a dynamic symbol reflective of the brand, and the font is modernized. The development work being done on the kites is revolutionary. The kites released in 2007 – the SPEED2, PULSE2 and the COOL2 – leave their predecessors in the dust. These new kites feature more flight stability, significantly faster turning capabilities, better relaunch, an optimized safety system, and greatly-improved jump characteristics. Also, with the introduction of the lighter-weight DELUXE-EDITION fabric, there is for the first time the opportunity to differentiation the various product lines with regard to the choice of materials used. 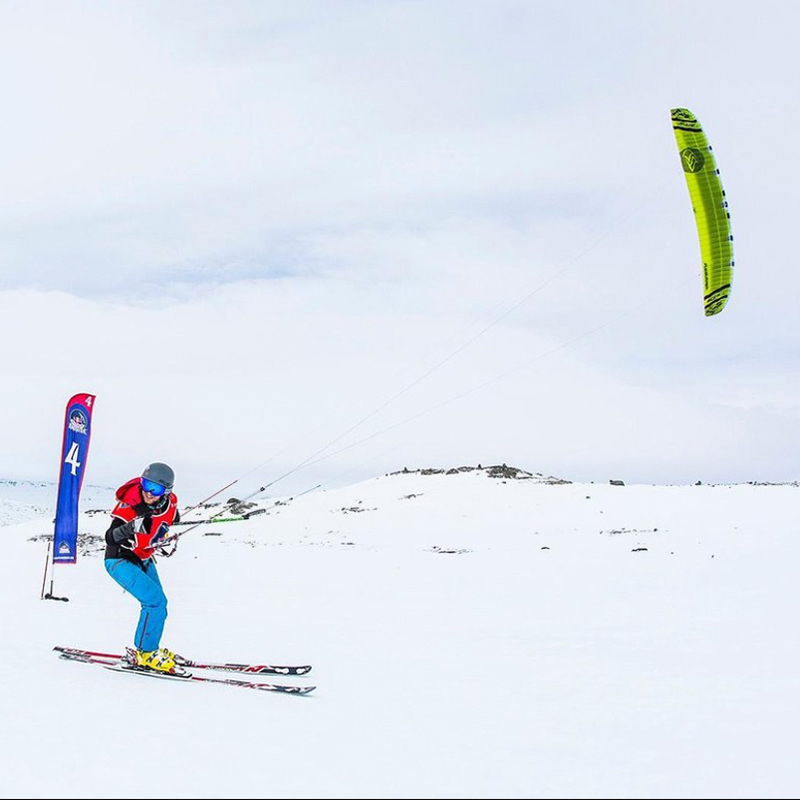 Snowkiting is a rapidly-growing trend in winter sports. 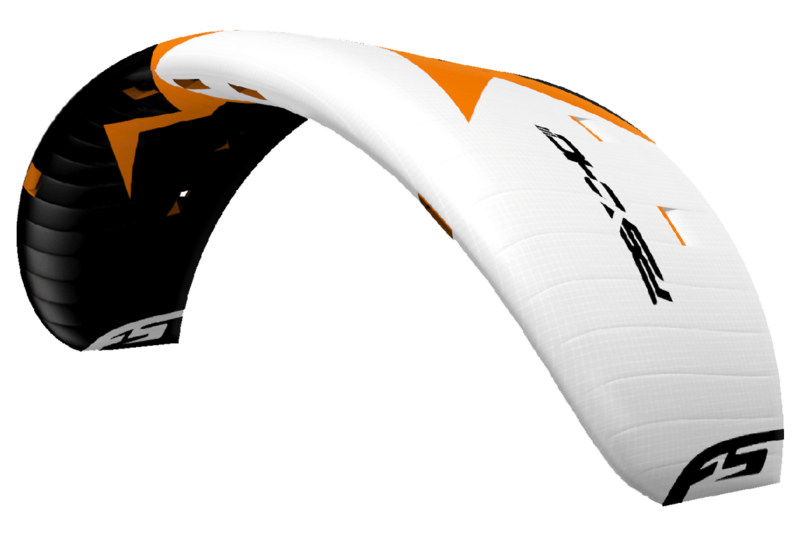 FLYSURFER shakes up the kite market this winter with an open-cell soft kite dubbed the OUTLAW. The Board division also continues to be embraced by the market, and this success leads to the decision that FLYSURFER will not only handle the sales of Boards, but will also take the development into their own hands; the label “FLYBOARDS by FLYSURFER” is launched. At this point the young Dutchman Eddy Lansink is the lead developer in the Board area. With the introduction of the first automatically-untwisting INFINITY Bar, FLYSURFER once again proves its ability to innovate. FLYSURFER continues to enjoy the strong successes of their brand on the market, but the economic crisis of 2008 does not leave Skywalk GmbH & Co. KG untouched. To weather the crisis, the workforce is reduced and resources are conserved wherever possible. This situation no doubt spurs the efforts of the FLYSURFER development-duo Armin Harich and Andreas Hanrieder to try something exceptional. The result is the SPEED3, which is presented in the fall to FLYSURFER’s international sales partners on Lake Como in Italy. 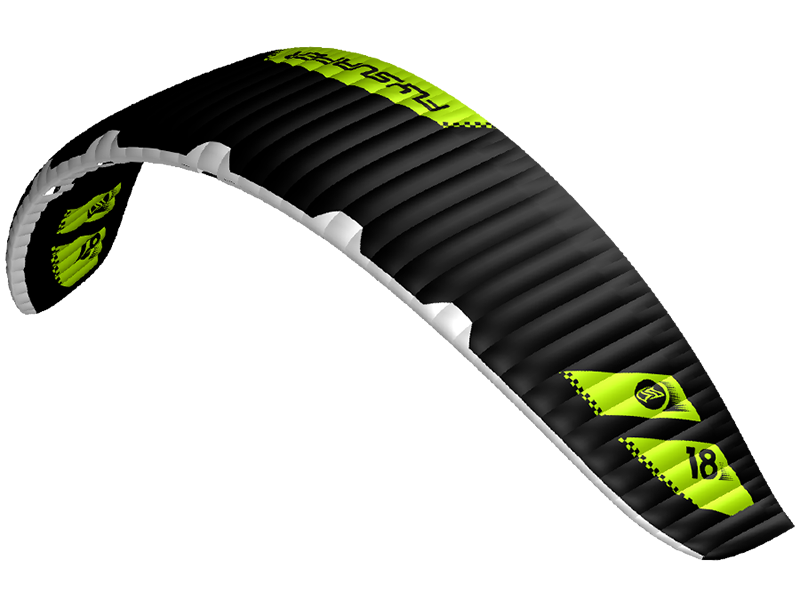 The SPEED3 Deluxe Edition is especially enjoying strong popularity, and the success of FLYSURFER Kiteboarding encourages new completion to enter the market, including many products intended for use in light-wind conditions. Armin counters with a new size, the SPEED 3 21.0. The new edition of the Silver Arrow is only available in the Deluxe Edition version … which shimmers with an elegant white and gold design. Aimed at kite schools, the VIRON enters the market and quickly becomes a bestseller. The FLYBOARDS range is extends in 2010 with the FLYWAVE—a mutant built on snowboard construction for use in short waves. The success story of the SPEED 3 continues in 2011 – a neon-green limited edition calls for attention when announced in the fall. The UNITY, a long-awaited PULSE2 successor, comes to the market together with the INFINITY 2.0 Bar. With the new Quick Release, FLYSURFER sets standards in terms of safety which conform to the French AFNOR norm. 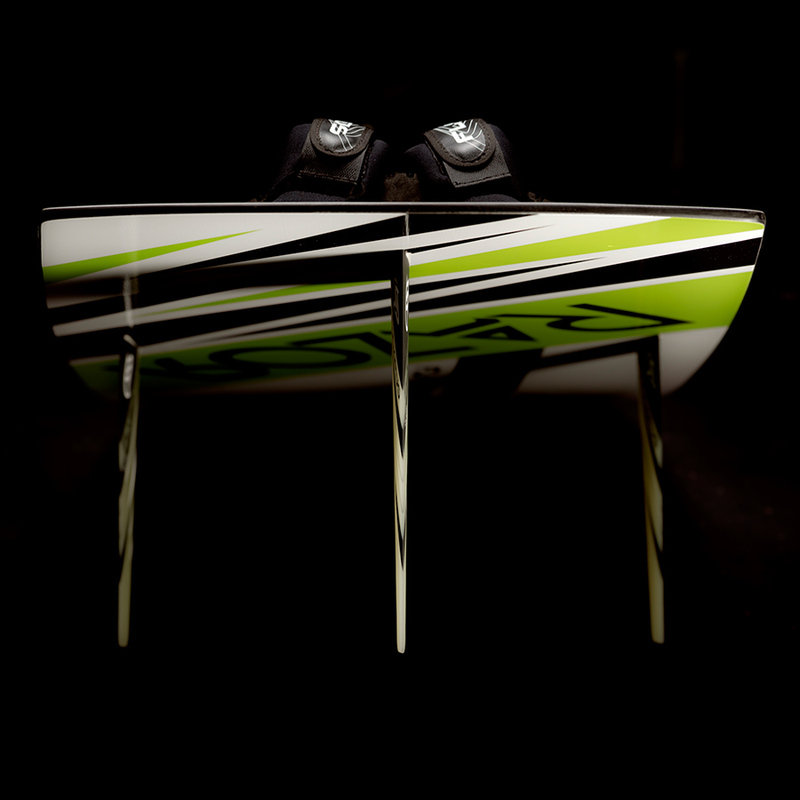 The FLYRACE, a twin-tip race board with an innovative adjustable-length fin, complements the FLYBOARD product line. The FLYSURFER brand itself also receives some refreshing this year, and in April the new website goes live with a new, modern look. However the largest part of the brand re-alignment is in the new slogan “everyday is a kiteday”, which reflects passion for kiting, and offers the promise that with every day spent kiting, FLYSURFER can deliver the customer an unforgettable kite experience. Skywalk GmbH & Co. KG continues to grow, and takes an important step for future process optimization and quality improvement when it receives an ISO 9001 certification. In 2012 FLYSURFER Kiteboarding is active in various projects. Brand Ambassador Sebastian Bubmann makes dreams a reality when he joins the Ataraxia-Expedtion in Alaska. FLYSURFER provides support to EnerKite GmbH, an innovative airborne wind-energy company. FLYRADICAL Longboards arise out of a recycling idea – a small quantity of old boards from 2010 & 2011 are processed into stylish collector’s items. The STRIDER becomes one of the first inflatable SUP boards from a kite manufacturer, but the development is deliberately halted. Under the FLYBOARDS label there is a change in strategy. There are nolonger annual product updates, rather new product lauches will occur only when new technologies or developments become available. More importantly is that all kiteboards starting in mid-2012 now carry the label “Made in Europe”. At the end of the year the SPEED4 is offered in small sizes. Finally, at the coming of the new year, the new Skywalk GmbH & Co. KG Headquarters in Marquartstein is ready … situated in the mountains near the Tiroler Arche… talk about quality in the workplace! With the technically-positioned CRONIX, developed by Andreas Hanrieder, FLYSURFER introduces its first tube kite to the market and thus enters a new era. It follows the PEAK as the first kite with a single-skin construction with plenty of depower. The PEAK, developed by Reinhart Paelinck, fills a niche with the Skitouring trend and in its first winter already has many followers. The Board label also continues to move proudly forward with the FLYSPLIT – quick disassembly without tools comes in style. At the end of the year the SPEED4 Lotus heralds the next era of high-performance freeride softkites. 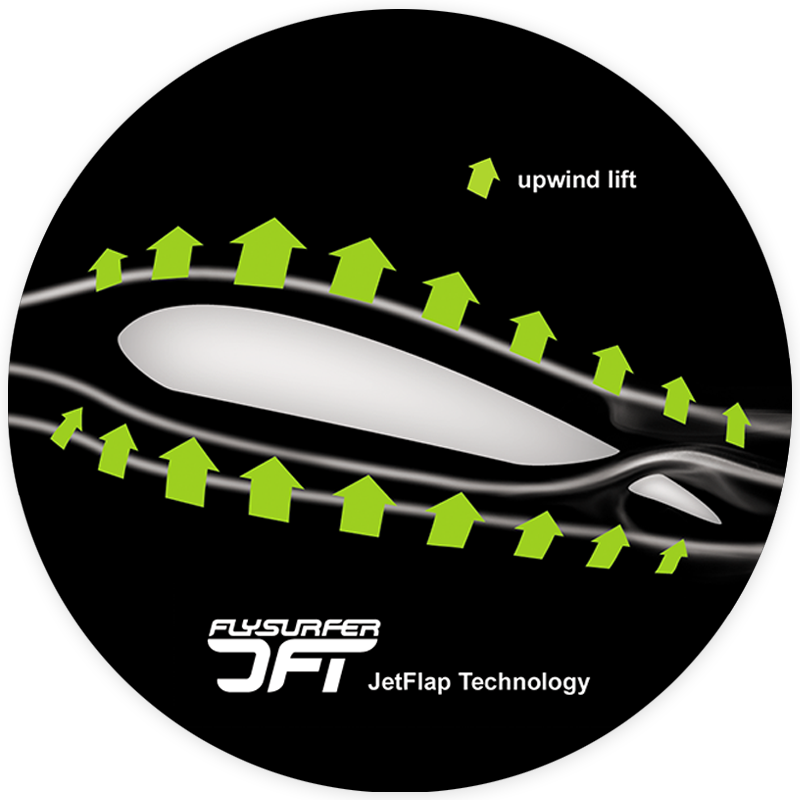 The innovative strength of FLYSURFER is defined primarily by the unique and ultra-light Lotus cloth, which is both water- and highly stain-resistant. The first steps in a realignment of FLYSURFER are complete – the unique technology-oriented product mix should contribute to the long-term success of the brand. 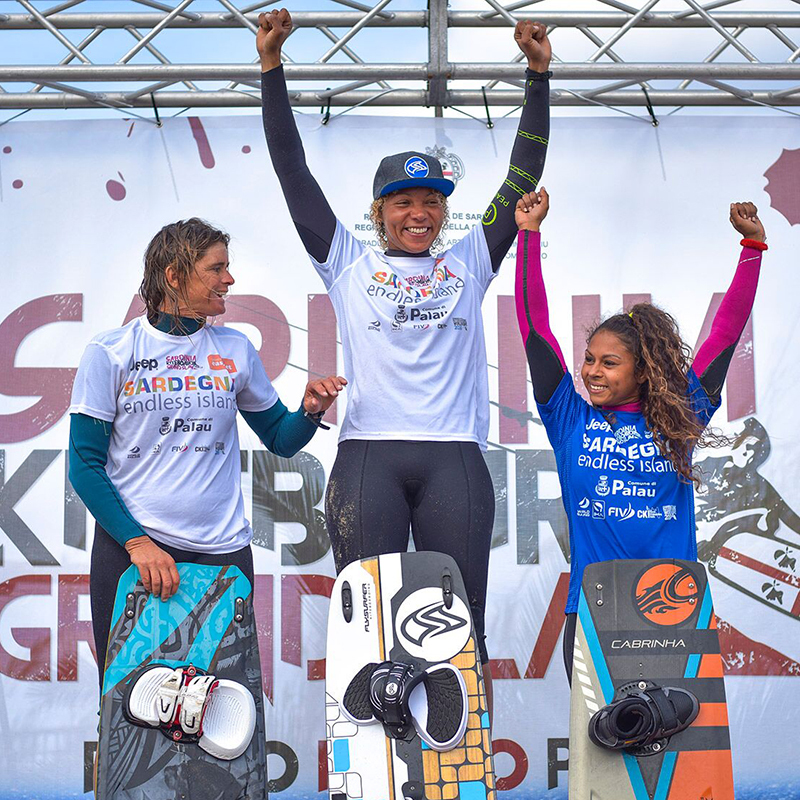 Two competition highlights this year are: Teamrider Christine Bönniger is crowned PKRA World Champion in the Slalom discipline, and the FLYSURFER duo Richard Wernersson and Klement Store win the VAKE team competition; the most famous endurance race in the snowkiting world. Things at FLYSURFER remain eventful in 2014. The 6-Month Free-Repair Warranty is increased to 12 months. This reinforces that we stand behind the quality of our products and the top-notch service offered by FLYSURFER Kiteboarding. Brand Ambassador Sebastian Bubmann starts the second major trial of his Alaska Expedition: Mount Blackburn. Together with fashion label Schwerelosigkite and the motorhome manufacturer Pössl / Dethleffs, FLYSURFER starts an exciting collaboration offensive. The second fashion collection enjoys more and more customers. Two incredible competition wins are taken: Team-Rider Dylan van der Meij is Freestyle Champion at the Kite Tour Asia, and Team Rider Atte Kappel wins the prestigious Red Bull Battle of the Sund in the Twintip Race. 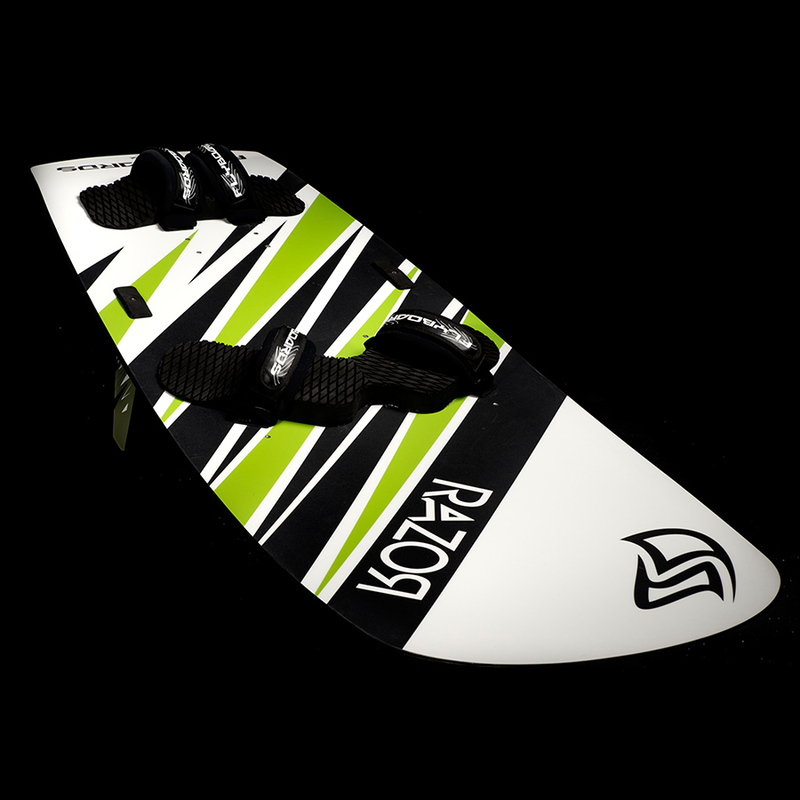 The RAZOR is positioned on the kitesurfing market as the first Freerace Board using snowboard construction. The small 8.0 and 10.0 sizes of the SPEED4 Lotus and the PEAK2 complement the product portfolio. The SPEED4 Lotus 15.0 is crowned the ultimate jump machine – airstyle has never been more spectacular. Through a modification to the Board Strategy, the FLYBOARDS Label is removed, and starting from the middle of the year the boards stand alongside the kites under the FLYSURFER Kiteboarding brand. This change begins with the FLYDOOR5 – the popular light-wind board which in 2014 is enjoying its 5th generation. The synergies possible within the development teams at Skywalk GmbH & Co. KG continue to bear fruit in 2015. While the 6.0m SPEED4 completes the Lotus range, the BOOST underlines FLYSURFER’s commitment to the tube kite – this kite sets the standard for the perfect combination of performance and everyday practicality combined with high functionality. The RADICAL5 – now it its 5th generation – continues to impress its already-enthusiastic customers. 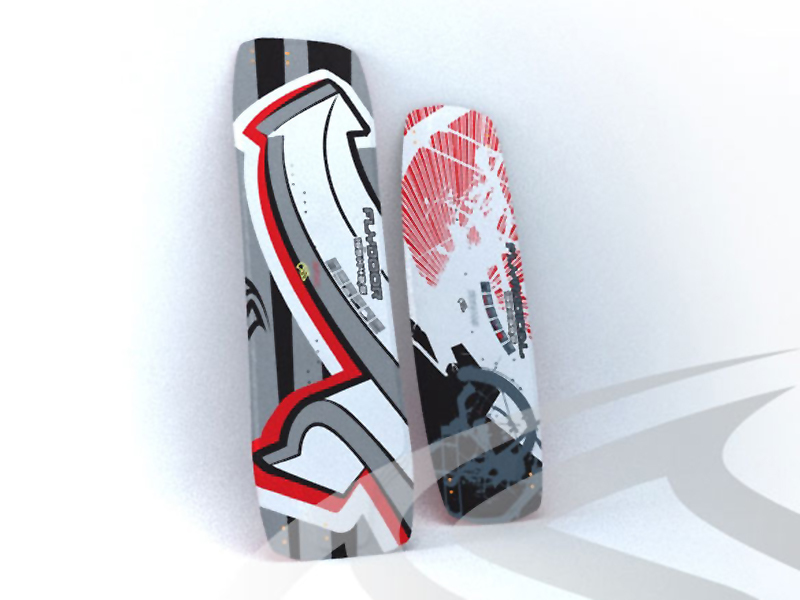 With the introduction of the INFINITY 3.0 Bar, the standard “ready-to-fly” packages are nolonger offered by FLYSURFER. Instead, from this point on all future kites are offered as “kite only”. For highly-competitive races FLYSURFER leads with the SONIC-FR. The strategic cooperation with the Austrian Hydrofoil Forge LEVITAZ benefits both sides. 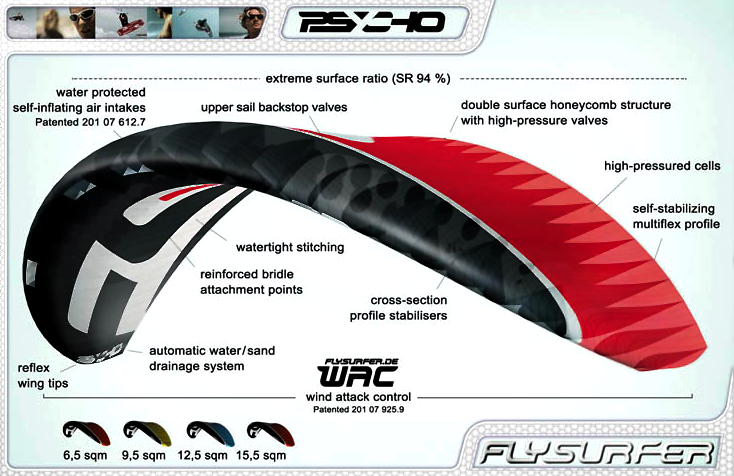 The high-performance products from FLYSURFER are essentially predestined for the new Hydrofoiling trend, which allows riders to “hover over the water”. A cooperation with the accessories-label Rubbish emphasizes the social responsibility of FLYSURFER in the recycling sector. The success story of the SPEED product line continues. The SPEED5 is more colorful and dynamic than ever. For Airstyle fans, the next-generation BOOST2 is released. This powerful 5-strut tube kite delivers with an ultimate “go-big-go-anywhere” feeling and helps Bibiana Magaji to the IKA Big Air World Champion title. 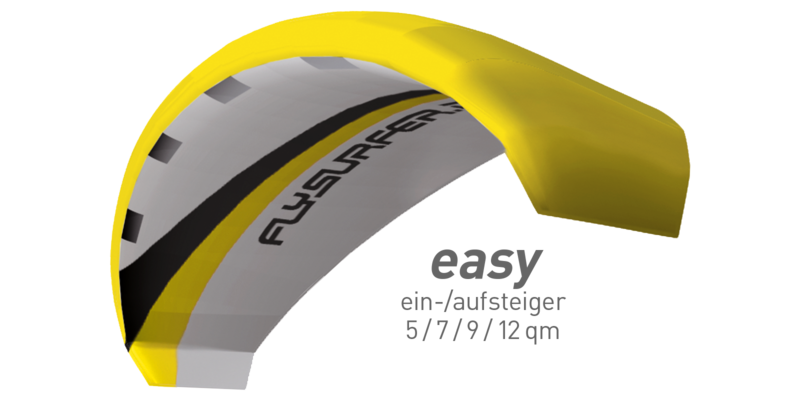 In April the Quick Release 3.0 is released, and in May, the FLYSURFER website is overhauled with a modern design and functionality. The highlight of the year is the SONIC2. 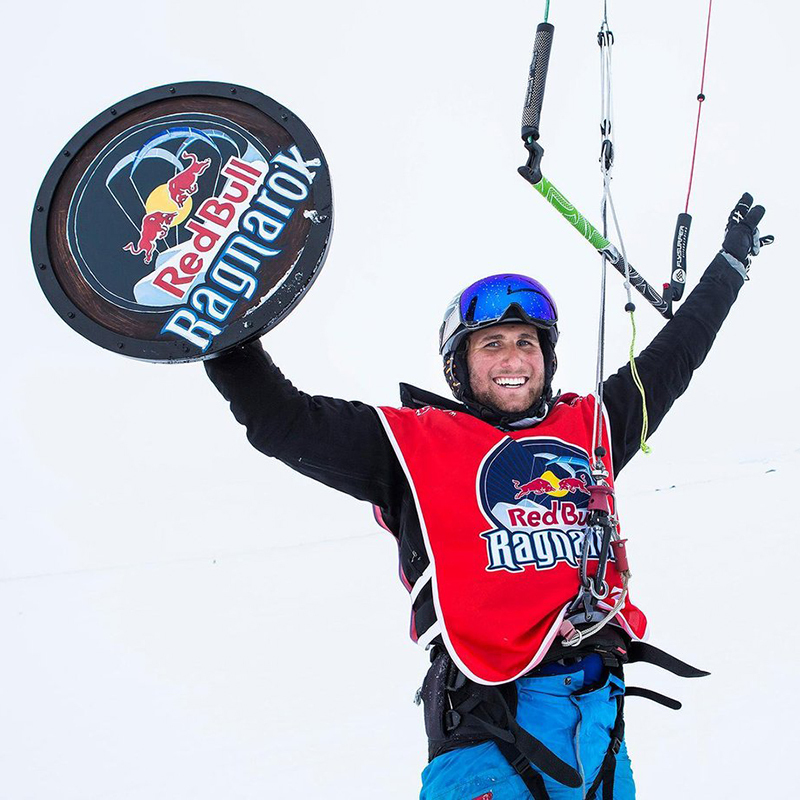 This next-level soft kite stands for maximum sport performance and leads Florian Gruber to win the Red Bull Ragnarok. In the course of the cooperation with the Seenotrettern (German Maritime Search and Rescue Association), FLYSURFER commits itself to help bring more safety to the North Sea and Baltic Sea. This year, we set a benchmark for ‘testival’ events. Brand Ambassador Thomas Thiele is the guarantee of success at the DE-Demo Tour. At the hightlight testival at the Kitesurf World Cup Fehmarn, a sensational event is pulled off by the entire FLYSURFER crew. Our athletes competing there are also incredibly successful and take the first three places in the Foil Race. As part of the FLYSPLIT2 introduction a new size—139x43 cm—is released and is the perfect single-board solution for all travel-happy kiters. 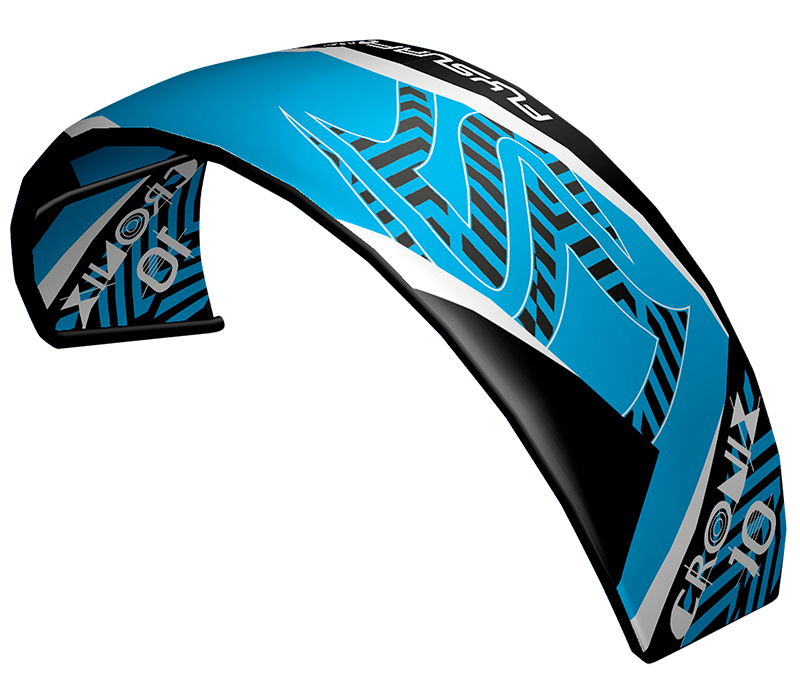 With the launch of the PEAK Trainer the FLYSURFER foil-kite product line is completed with an indestructible single-skin practice kite.